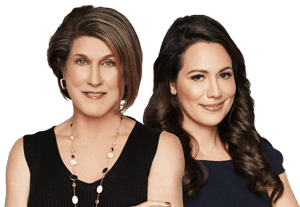 Melissa Hoff Roth & Lea Plotkin have joined forces to enhance the customer’s Real Estate experience. Melissa is an award-winning, passionate, dedicated, South Florida native and resident for over 40 years. She knows and appreciates all that makes South Florida one of the most desirable places to live in the country. Lea has been top agent for over 40 years locally. As the Parkland Power Team her “local knowledge and Global presence” is what sets her apart. Melissa specializes in all aspects of real estate “from the ocean to the Everglades.” Her impressive track record includes over a decade-long career, hundreds of closed transactions, local and nationwide accolades, and many satisfied, loyal clientele. Melissa has been selling residential and commercial real estate since 2002 and NOW is the time to make a move! Melissa is an active, upstanding member of The Fort Lauderdale Board of Realtors, The Florida Association of Realtors, and The National Association of Realtors and a top-tier Coldwell Banker Real Estate Agent. Melissa is Corporate Relocation Certified, a CRS (Certified Residential Specialist), a CLHMS (Certified Luxury Home Marketing Specialist), a CNS (Certified Negotiation Specialist), and a CDPE (Certified Distressed Property Specialist). 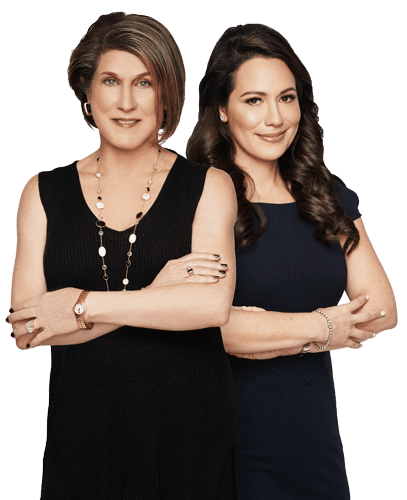 Melissa & Lea are full- time realtors, dedicated to meeting the needs of all their clients and will assist you throughout the whole process of buying or selling. Melissa Hoff Roth is an award-winning, passionate, dedicated, South Florida native and resident for over thirty years. Having lived here her entire life, she knows and appreciates all that makes South Florida one of the most desirable places to live in the country. Melissa specializes in all aspects of real estate “From the Ocean to the Everglades.” Her impressive track record includes a decade-long career, hundreds of closed transactions, local and nationwide accolades, and a satisfied, loyal clientele. Melissa has been selling residential and commercial real estate since 2002 and NOW is the time to buy. Melissa is an active, upstanding member of The Fort Lauderdale Board of Realtors, The Florida Association of Realtors, and The National Association of Realtors and a top-tier Coldwell Banker, Real Estate Agent. Melissa is a full- time realtor, dedicated to meeting the needs of all her clients and will be assisting you throughout the whole process of buying or selling. Lea Plotkin & Rubin Wites are well educated business people who work in the real estate industry. Having been top selling agents for Prudential Florida Realty in South East Florida/Berkshire Hathaway HomeServices in the last 17 years after selling Prudential Realty and becoming Realtors instead of broker owner and management, they enjoy much success. They are know for combining modern technology with old fashioned customer service in order to make the home buying or selling experience as painless and as profitable to you their client. Rubin Wites was the President and, Broker/Owner of Prudential Wites Realty. In May 2000 he sold his company to Prudential Florida WCI Realty. Today Rubin works with Lea Plotkin as a team and brings knowledge, expertise and unsurpassed people skills to the table. The team Of Rubin Wites and Lea Plotkin bring a level of Professionalism and experience rarely found in Real Estate.A graduate of Long Island University, with a B.S. in Finance and minors in History & Education Rubin moved to Florida in 1973. Rubin is considered an expert on Residential Real Estate in South Florida and has written real estate articles that have been published in the Sun Sentinel, Wall Street Journal, Forum and Parkland Life. Lea Plotkin has a Masters Degree in Fine Arts, is an accomplished artist in multiple media’s, has taught in college, run a New Construction Project and was involved in the design of many of the floor plans. In addition while working at Prudential Wites Realty she was the Training and IT Manager. She brings a wealth of Product knowledge to both new home and resale home buyers, she is the consummate sales person. Lea ‘s comfort with design has help put the marketing of their inventory homes in the superior status from print ads to the internet. Together Rubin & Lea give a level of old-fashioned service that does not exist in today’s market, combined with business skills and an extensive technology background. Putting your home purchase of sale in their hands will get the job done with little effort in today’s tough times. Today they enjoy 7 grandchildren and social media, face book with over 5000 friends. travel and their clients needs keeps them busy.